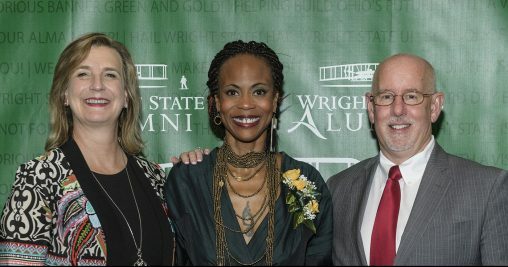 The Wright State Alumni Association held its annual Alumni Achievement Awards ceremony on Oct. 5 during Wright State’s Homecoming Weekend. The Alumni Association recognizes and celebrates the accomplishments of Wright State alumni each year at the event. Winners are selected from a pool of more than 110,000 alumni and are recognized for numerous accomplishments in their chosen fields. In addition to possessing high standards of integrity and character, they have also given their time and talent to benefit Wright State. Hannah Beachler graduated from Wright State’s Motion Pictures Program in 2005 with a Bachelor of Fine Arts. She is a prolific production designer with an affinity for evocative designs and visuals and crafts unique emotional landscapes for every story. Beachler recently began prepping for her next project, with director Melina Matsoukas, the pilot for FX’s “Y: The Last Man,” based on the comic book series. She was the production designer on Marvel’s “Black Panther,” the ninth-highest grossing film of all time. Her work on the film earned her a 2018 Saturn Award for Best Production Design. She also collaborated with Ryan Coogler on “Creed,” the spinoff from the “Rocky” film series; and “Fruitvale Station,” the 2013 Sundance Film Festival breakout film and winner of the Prix de L’Avenir in the Un Certain Regard competition at the 2013 Cannes Film Festival. Beachler also collaborated with director Barry Jenkins on the 2017 Best Picture Oscar-winning film “Moonlight.” The film was named one of the top 25 movies of the 21st century by The New York Times. She received the 2017 Art Directors Guild Award for excellence in production design and art direction for her work on “Lemonade,” Beyonce’s visual album. She was also nominated for an Emmy for her work on the album. Beachler’s current collaborators include: Oscar-nominated director Dee Rees, Grammy and Emmy-nominated director Khalil Joseph, Grammy-winning director Melina Matsoukas, Oscar-nominated cinematographer Rachel Morrison, prolific cinematographers Maryse Alberti and Malik Sayeed and Academy Award-winning costume designer Colleen Atwood. Jennifer R. McDermott ’09, B.A. Jennifer McDermott graduated from Wright State University in 2009 with a bachelor’s degree in social work. She received her Ohio licensure in social work and began working in child welfare shortly after graduating. This experience afforded McDermott the opportunity to work with families in the community struggling with drug addiction, mental health concerns, poverty and domestic violence. She has also worked with area foster youth and prospective foster and adoptive parents. After earning a master’s in social service administration from Case Western Reserve University in 2013, she found she had a passion for teaching while serving as an adjunct faculty member at Wright State. She was hired full time by Sinclair Community College in 2014. She serves to coordinate the Social Work Program at Sinclair, working with students from all walks of life to help them complete their associate degree and move them forward to a bachelor’s degree. While a student at Wright State, McDermott traveled abroad. It was an important experience for her and she has since taken part in travel abroad opportunities as a faculty member at Sinclair. She has been part of two trips to the U.S./Mexico border to help students learn about issues related to immigration. On one of these trips, she served as co-lead and partnered with students and faculty at Wright State. 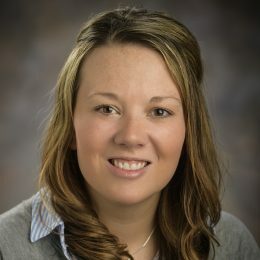 McDermott is an active member of the Wright State Social Work Alumni Society and the Wright State Social Work Professional Advisory Committee. She enjoys life with her children and husband, a Wright State engineering graduate. Samuel J. Bernard ’11, B.S.B. Sam Bernard is a 2011 graduate of Wright State. As a student he was actively involved in the Finance Club, traveled to New York City and visited the trading floor of the New York Stock Exchange multiple times. Bernard served as the president on the first board of the Graduates of the Last Decade (GOLD, now known as Grad X). During his time as president, GOLD held dozens of events to bring hundreds of young alumni back to Wright State. Currently, Bernard is a financial advisor for Day Air Credit Union, where he helps their members work toward financial goals with a focus on retirement planning. 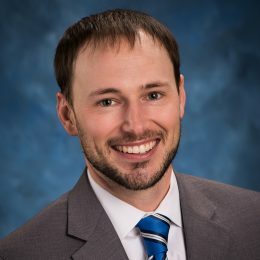 He has served as the secretary of the Huber Heights Rotary Club for the past three years and is an active member at the West Charleston Church of the Brethren, where he serves as a deacon and is a member of the financial audit committee. He attends all of the home games of the Wright State men’s basketball team. During his free time he enjoys working in his apiary, traveling, and spending time with his family, friends and his two poodles. Jasmine (Easler) Schmenk ’16, B.F.A. Jasmine Schmenk was born in Cleveland and raised in Toledo. She discovered a passion for musical theater during high school at Toledo School of the Arts and went on to foster her skills at Wright State. She graduated from Wright State University’s Musical Theatre Program in 2016. Since graduating, Schmenk has become a young artist making her mark across the world. 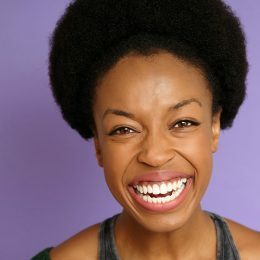 For the past two years she has toured with the 20th anniversary cast of the Broadway hit musical “Rent,” playing the role of Joanne Jefferson. An international portion of the tour was spent living and performing in Tokyo, Japan. She has also performed in theaters throughout the United States, including Los Angeles, Seattle, Chicago, Detroit, Boston and Miami. With gratitude and tenacity, she plans to continue making a career in the theater. Born on June 14, 1915, in Yamhill, Oregon, Zoe Dell Lantis Nutter is the epitome of adventurous, fearless, determined and inspirational to everyone she has known. 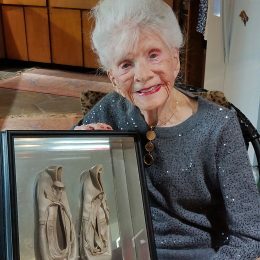 She began her journey when she moved to San Francisco at 18 years old and began her dancing career, including as a member of the San Francisco Ballet. In 1939 she became the theme girl for the inaugural World’s Fair at Treasure Island and was named “The Most Photographed Girl in the World” by Life Magazine. Nutter was also a spokesperson for Piper Aircraft, logging over 100,000 miles promoting air transportation all over the world. She became a pilot after the attack on Pearl Harbor and logged over 2,000 hours. She has been a dancer, pilot, model, theme girl, philanthropist, huntress, promoter and inventor of the manifold in aircraft that became standard equipment. She has been a part of the Ohio Civil Air Patrol, Ford’s Theatre Board, The Ninety-Nines, The Shikar-Safari Foundation, the first female president and a trustee of the National Aviation Hall of Fame, an inductee of the Living Legends of Aviation, and a member of the Treasure Island Museum board of directors and the San Francisco Aeronautical Society. Nutter has received The Lincoln Medal by Ford’s Theatre presented by Laura Bush (2006), Dayton Region’s Walk of Fame (2015), Wright State’s Spirit of Innovation (2001), Bob Hoover’s Freedom of Flight Living Legend Award (2008), National Aviation Heritage Area Ivonette Wright Miller Award (2005) and Women of Influence Lifetime Service Award (2010). In 2017, she established the Zoe Dell Lantis Nutter dance scholarship at Wright State University.